Enjoy a decent meal with a spectacular view. I'm used to living in the mountains, so being in the valley, I find it is very frustrating not to be able to see out over the city. Something about it makes me feel anonymous and lost. I can't get my bearings most days, because every direction I turn, there is a river or busy, tangled roads. It is hard to gain a sense of direction from inside the city when you are a newcomer. 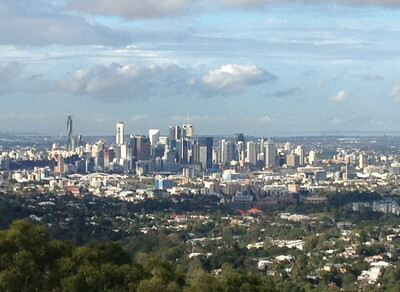 I enjoy going to Mt Coot-tha just to escape the noisy landscape of concrete buildings, tangled streets and ipod-clad strangers. The panoramic view is beautiful, even breathtaking. It gives me a chance to see out over the city and figure out the lay of the land. 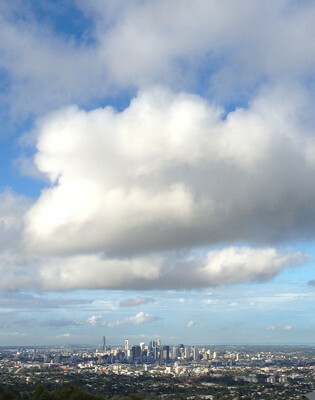 Now I understand, if I can see the Meriton Building, as long as I head towards it, I can easily find my way home. If I know which side of Story Bridge I'm on, I can tell if I'm headed north, south east or west. It makes it a lot easier to get out and explore the unknown if you can easily find your way back home. 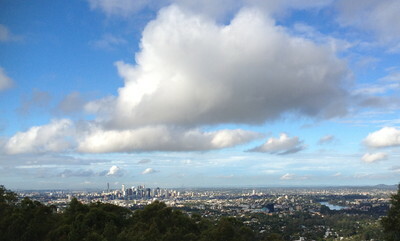 On top of Mt Coot-tha are a couple of restaurants. I haven't eaten at The Summit yet. They have wedding and corporate bookings available and it is looks like a great place to celebrate life's milestones with family and friends. What a terrific backdrop for any event, day or night. If you have eaten at the Summit, I'd love to know what your experiences were. You don't really go to Mt Coot-tha to eat. 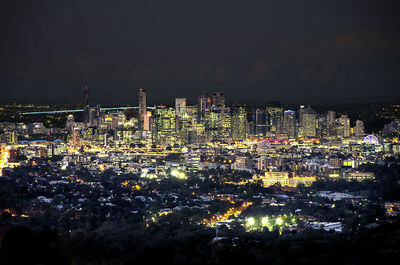 You go there for the most scenic view of Brisbane and to enjoy nature. If you do happen to work up an appetite, I can say eating at Kuta Cafe has been a good experience for my husband and I on two occasions recently. Based on my limited and occasionally disappointing experience with eating out here, I'd say Kuta Cafe does a decent job of preparing reasonably good food. The menu isn't overly complicated. It has something for just about everyone's tastes, even vegetarian selections. Service was on par with what you generally experience here. 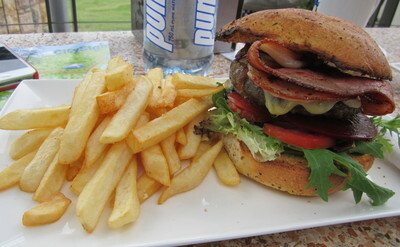 My first experience was a hefty burger with hearty pile of bacon, a pickled beet slice,tomato, lettuce, BBQ sauce, and cheese, all in a tasty, toasted bun and served with a heap of gratifying chips. Even with a beet slice, (which is like a totally foreign object to me), everything was quite tasty. My husband enjoyed his fish and chips as well. After a bit of hiking around and laughing at the antics of a Brush-turkey rearranging his nest, we decided to cool off with some delicious ice cream. Just can't go wrong with that on a hot day! Most recently, I had a great BLT and avocado sandwich, layered in some tasty, toasted bread and my husband had some nachos with added beans and chicken. I really liked the BLT and avocado sandwich. Avocado always makes good things taste great. My husband liked his nachos. I found the salsa to be a bit sweet, like a BBQ sauce. Overall, it was hearty and tasty, but not as good as homemade. You won't starve at Kuta Cafe, and your wallet won't be entirely depleted, as the prices seemed on par with other places we've been to with similar food. Follow the impulse to get up on that hill and enjoy the views every chance you can. You won't regret it, and if you didn't have time to pack a picnic, you won't starve up there either.